The Mid-Staffs débâcle was a catastrophe. The Berwick report published in August 2013 made a promise to learn, alongside making a commitment to act to improve patient safety. This is classic continuous improvement best typified by the Deming cycle of Plan-Do-Study-Act. However, there was a huge gap in the cycle. The ability to perform deep analysis of the data across the organisation did not exist. There wasn’t a mechanism to analyse the data, to mine it, to create trends and predictions from it, and to measure actual improvements as they were delivered. Hence the compelling impetus to create this service, to address that desperate need. At that time Redwing was working with Greater Manchester West Mental Health NHS Foundation Trust, assisting them in the creation of a greenfield Business Intelligence programme. Patient safety was a central part of that work. We saw a huge database gathering dust. It was available and ready for mining. We extracted the data and fed it into the Redwing Data Warehouse ready for reporting. Later we took what we had learned, created powerful algorithms and analytics, and expanded it into a Cloud Service called Rapid Analysis of Events, or RAVEN for short. Managers and executives can Know How We're Doing. More recently, at South West Yorkshire Partnership NHS Foundation Trust, Redwing is providing a full implementation of RAVEN. This is part of our creation of a total greenfield Business Intelligence programme for the Trust. We couldn't have done all this alone, of course. We gained Executive support, worked with the clinicians, spent time on the wards, had many workshops with clinical staff who work directly with patients, worked with Information Governance and the other stakeholders. We used Evolutionary Development Methodology® to deliver the system in an incremental and iterative manner, fixing our mistakes as we went. To wrap it all up, we worked with management to ensure that RAVEN reporting is comprehensive, accurate, and precisely as required. It’s great for recording incidents. It leads you though case management of the incident. It supports Root Cause Analysis of an incident. We see Datix as a super tool for managing the raw data of the individual incident. However, our stock-in-trade is business intelligence, the art and science of turning masses of raw data into nuggets of actionable information, and then providing decision-makers with those nuggets, so that they can use them to improve the way things are done. We saw the very real potential in all that data, and thus . . . RAVEN. RAVEN does not overlap or compete with Datix; it extends Datix with powerful analytics. 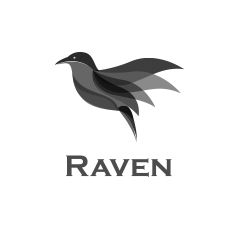 Raven provides the information that NHS Trusts need to improve patient safety, enhance quality care and enrich integrated governance. RAVEN was developed in close collaboration with senior NHS managers. It delivers the analytics needed to analyse, understand, and take effective action on: Incidents and Adverse Events; Claims; Compliments and Complaints. The availability service level for Raven is 99.7% during standard business hours, with a mean time to recover of 4 hours. The service is provided using compute and storage technologies residing in a Tier 3 data centre. Here, the SILVER Service Level is augmented with the Interactive Floor Map. The Trust supplies Redwing with floor map(s) of the Trust Buildings, and Redwing turns these passive documents into live, fully interactive screens that show issues and hotspots via a series of analytical views. The data may be cut by date, severity, and a wide variety of other ways to slice the information. The Interactive Floor Map will even show predictions of where issues and challenges are likely to arise, using Raven’s predictive analytics capability. The GOLD level includes an additional 10 days consulting as standard. For Service Level Gold, the fee is 99p per newly recorded event e.g. incident, communication, claim etc. Here, the BRONZE Service Level is augmented with up to 10 days consulting for Trust reporting customisation as desired. Additional consulting days may be purchased according to the Rate Card. For Service Level Silver, the fee is 93p per newly recorded event. Provision of a ‘pizza-box’ 1U server to extract the relevant information from the on‑premise source system, and to store it in a local SQL Server database in encrypted format, ready for transport to the Redwing servers. This local database is transparently available to authorised Trust staff; read-only provision is made for Trust staff to inspect and validate the data to be transport as required by the Trust. No data is transported except that contained within this open database. For Service Level Bronze, the fee is 76p per newly recorded event.